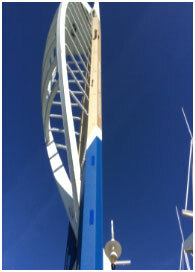 Just a short note to thank Alton Lions for sponsoring me on my hair-raising abseil down Spinnaker Tower, Portsmouth. I descended the 110 metres safely last Sunday some two months later than expected as high winds frustrated the first attempt. 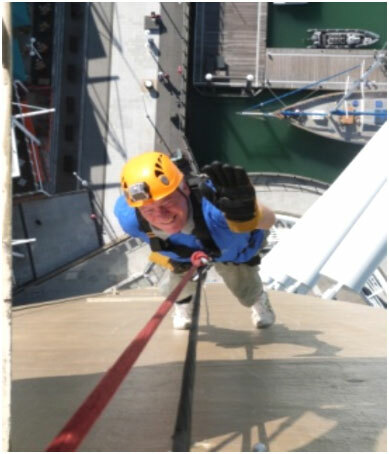 In total I raised £6,391 for St Michael’s Hospice (North Hampshire). The view from the top was simply amazing. Three days later and I would have had a bird’s eye view of HMS Queen Elizabeth steaming into Portsmouth Harbour.